As a clarinettist Anthony is associated with the London Mozart Players, Orchestra of the Age of Enlightenment, and the English Chamber Orchestra. He is a member of the Chinook Clarinet Quartet, performing at the Wigmore Hall, Purcell Room, and the Bridgewater Hall. He has recorded many CDs with the London Mozart Players and English Chamber orchestra and also with the British Clarinet ensemble and Chinook. As a composer, Anthony recently completed works the RCMJD Symphonic Wind Orchestra, the National Youth Wind Ensemble of Great Britain, an SPMN commission for the BBC Singers, and two orchestral pieces for the Philharmonia orchestra. (One of which was conducted by HRH The Prince of Wales.) Anthony’s first opera The Black Monk (which he adapted himself from the Chekhov short story,) was premiered in 2003 to public acclaim by the Sirius ensemble at the Bloomsbury theatre in London. I am excited to announce that I have finished my new work commissioned by Andrew Hunt for Bass clarinet and Piano, Dedham Vale. This will have its official launch next year at a concert played by Sarah Watts. Watch this space. I have also have lots of performances with UNIT coming up this month, do check out http://www.unitunit.org for more information. This entry was posted in Uncategorized on June 28, 2016 by anthony bailey. I am pleased to say that all of my compositions (including my soon to be published new work for Bass clarinet and Piano) are available to buy through this website. Have a look at the list of works and see if anything takes your fancy. all chamber and solo works are only £10 plus postage. My Orchestral and larger scale works are also available to buy, but better to ask me about those individually if you are interested. Next recitals – May 4th, 1pm, Lion Walk Church, Colchester. Programme to include Beethoven Clarinet Trio and Bartok 44 Duos in a new arrangement for Two clarinets. plus October 9th, 6pm, St Osyth Church Concert Series, programme as above. This entry was posted in Uncategorized on April 4, 2016 by anthony bailey. Here are some new events to tell you about for 2016. Firstly, February 8th – 11th Benslow Music. City Lit Orchestra 7th – 8th April – I will be conducting Beethoven Symphony no.8 and Ah Perfido. see http://www.citylit.ac.uk for more information. City Lit Clarinet Choir 6th April 6.30-9.30. A one off clarinet choir session open to anyone. at city lit, Keeley Street, Covent Garden. see http://www.citylit.ac.uk for more information. 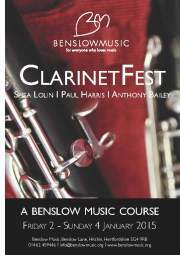 May 9th- 13th Benslow Quintessential Clarinets. I will be coaching clarinettists on solo clarinet and piano repertoire. http://www.benslow.org for more. May 28th-29th Clarinet Playing Weekend, Watershed studio, St Osyth, Essex. come and play in a clarinet ensemble in lovely surroundings and ending with an informal 4pm concert on Sunday 29th. contact Anthony on 07930 410740 or antbailey@hotmail.com for more information. I am also excited to have been commissioned to write a new work for Bass Clarinet and Piano by Andrew Hunt. The new work will be ready later in the year. This entry was posted in Uncategorized on January 21, 2016 by anthony bailey. After that I had a wonderful week with the National Children’s Orchestras of Great Britain, coaching on their under 11s course at Port Regis School in Dorset. I am now deep in preparation for the Roman River Festival. This year I am running an exciting education project based on the Lark Ascending, culminating in an orchestrated performance at the festival finale on Sunday 4th October. This entry was posted in Uncategorized and tagged Anna Hashimoto, Daniel King Smith, National Children's Orchestras of Great Britain, Wiltshire Music Centre on September 6, 2015 by anthony bailey. I am very excited to announce that I am the first Young Artist in Residence at the Wiltshire Music Centre, for their 2015-16 Season. My first recital will be a lovely programme of Mozart, Bailey and Poulenc with Daniel King-Smith -Piano and Emma Richards -Viola on November 25th at 1pm. I will also be collaborating on a work with Joss Arnott Dance which we will be performing with young dancers from the Swindon area on 21st November. Also, my Summer Course at Longcommon is now full! We are looking forward to welcoming Anna Hashimoto as Visiting Artist and Daniel King-Smith as course pianist. This entry was posted in Uncategorized on July 9, 2015 by anthony bailey. I hope you enjoy my new and up-to-date website. 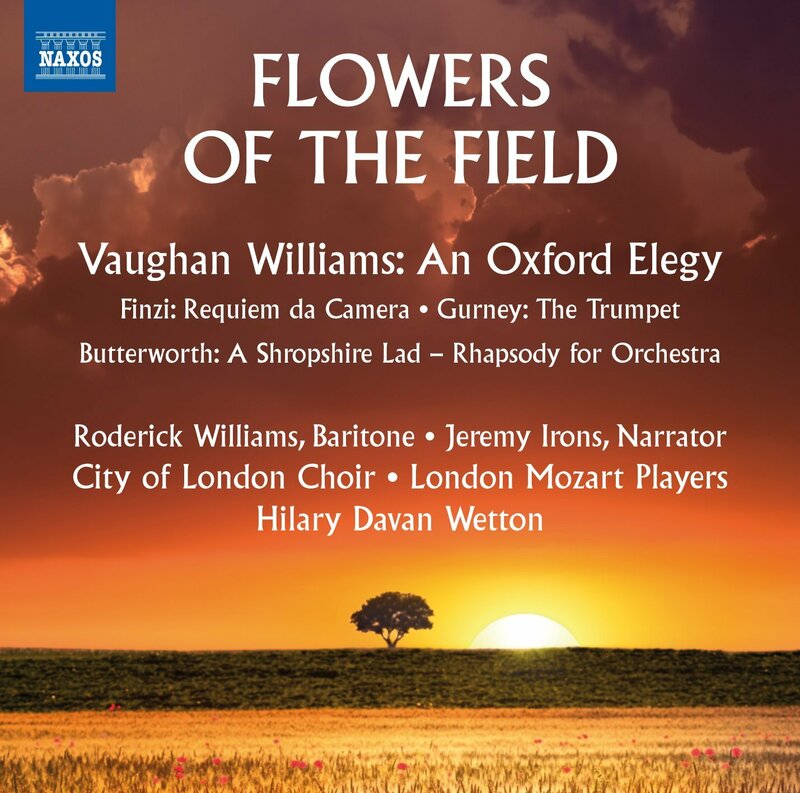 Anthony has performed with the London Mozart Players regularly recently including on this CD which has been at number 1 in the UK specialist classical music charts. It has been very well reviewed in the press, – go and listen to it! University of East Anglia last year. this is a piece I wrote for Bill Vine and his wonderful electronics/speaker panels,search for UNIT page on facebook for our next big project together, and see below for indiegogo information page about it. Next, some playing opportunities to tell you about. I am happy to announce the dates for my now well-established clarinet playing weekend I run in St Oysth, in the coastal marshes of Essex. the 2015 dates are 23th-24th May. See the PDF flyer (with booking form) link below. The first is Clarinetfest, with Paul Harris and Shea Lolin. Jan 2nd to 4th. see www.benslow.org for more information about these. Also, I will be conducting my Orchestral Workshop at City Lit four times this year. the next being Mozart Piano Concerto No.21 with the lovely Gabriel Keen on March 31-April 1st. Then the following course is July 14th -15th and will be Beethoven Symphony No.6. See www.citlit.ac.uk for more information. Oh and in the summer I will be running the clarinet and sax choirs and wind chamber music at music for people summer course in Giggleswick, Cumbria from 1st -8th August. visit www.m4p.org.uk for more information. do pass this email/dates/news to anyone you think might be interested. This entry was posted in Uncategorized on December 14, 2014 by anthony bailey.